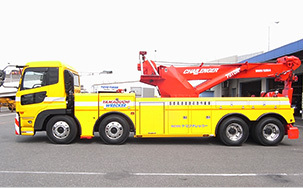 Description: The most popular in Japan, 40 Tonbumu pivoting tow truck, is a Japanese Unit 1. 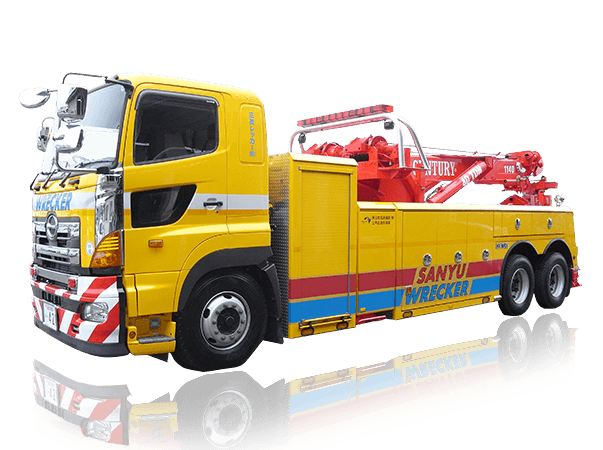 Description: The most popular in Japan, and a 40 Tonbumu pivoting tow truck. 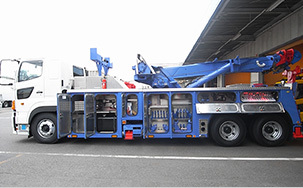 It is a 12-stage mission Quon deployment of UD Trucks. 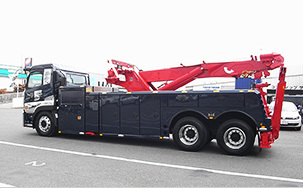 Equipped with a low life Dah under lift, is the world No. 1. 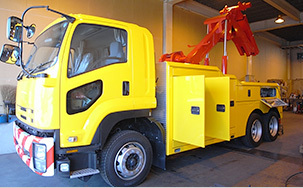 9-stage mission deployment, there is a take-off capability of full or more large vehicles Isuzu FVZ type chassis. 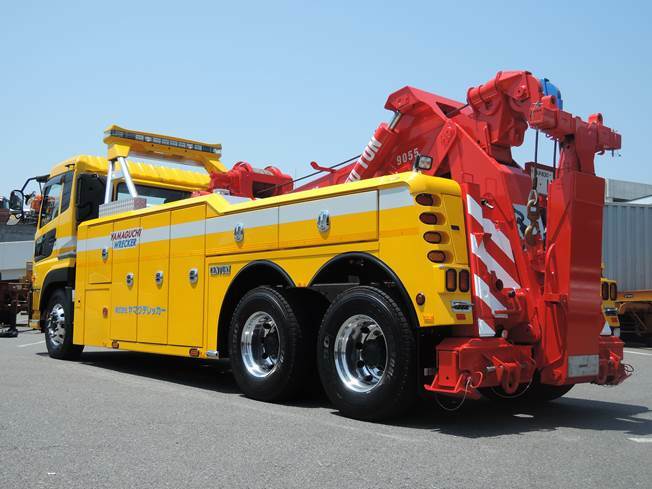 Description: It is a tow truck with a boom swivel 360 degrees proud of the lifting capacity of 70 tons, Japan's largest. 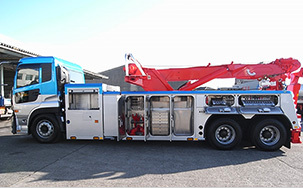 It is a custom 8x4 chassis of only one UD Trucks specially made, to the world.